The search is on to find Wales' most popular visitor spot as part of this year's national tourism awards. The top 10 current favourites have been released and now people are being asked to vote for their preferred place. 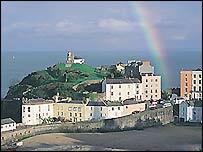 The entries for the My Special Place include Snowdon, Tenby and Porthcawl with votes being cast online. The competition is being run by the Countryside Council for Wales with the Wales Tourist Board. But the organisers are expecting the top 10 to change with new entries being added as people vote for their favourite places. Jonathan Jones, chief executive of the Wales Tourist Board, said: "The current list of hot contenders is made up of nominations received since the start of the campaign. "But the results are by no means decided, it will be an interesting few weeks watching how the voting goes. "Welsh people are very patriotic and proud of where they live so we anticipate that votes are going to be high and places which haven't received many nominations so far could make an unexpected appearance." The My Special Place 2005 award was established after the Wales Tourist Board teamed up with the Countryside Council for Wales to create a national picture of where Welsh people like to go for their "natural buzz or fix of fresh air". Countryside Council for Wales chief executive Roger Thomas said: "It gives us the opportunity to highlight someone's special place, which might just be one that some of us have never heard of, but would love to visit once we hear about its magic." 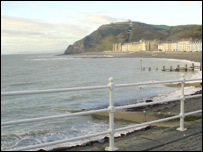 The category is part of the Welsh National Tourism Awards 2005. The winner will be announced on 20 October from a shortlist of three.